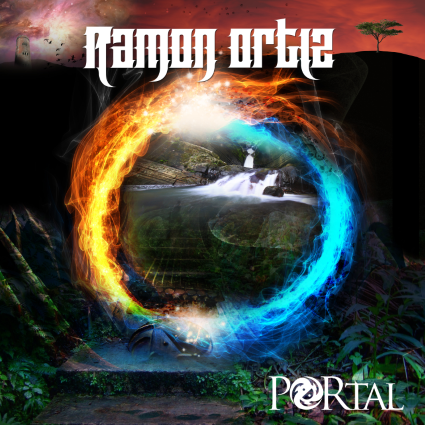 Ramon Ortiz’s Portal will open your mind. Guitar God Ramon Ortiz, Combines a heavy metal style with Puerto Rican influenced percussion congas by Paoli Mejias of Santana. Ramon Ortiz can be compared to the rhythm of Carlos Santana with a bit more of that heavy metal feel in each powerful riff. In his new song “82512” Romon Ortiz shows us he can infuse that metal solo melody with caribbean traditional music. If you are looking for an album packed with guitar melody and instrument infusion look no further, Portal by Ramon Ortiz is the answer. This style is very relaxing and melodic. Ramon Ortiz descended from the Latin acclaimed band Ankla, keeping its heavy roots from this band he incorporates more Latin infuse metal and gives you Portal, his new album out September 15th, 2015 via iTunes. Get your copy of this majestic fusion of instruments and Ramon Ortiz’s talented guitar skills.